Includes phone and battery only. No cables or sim card included. Cellular service locked to Sprint. 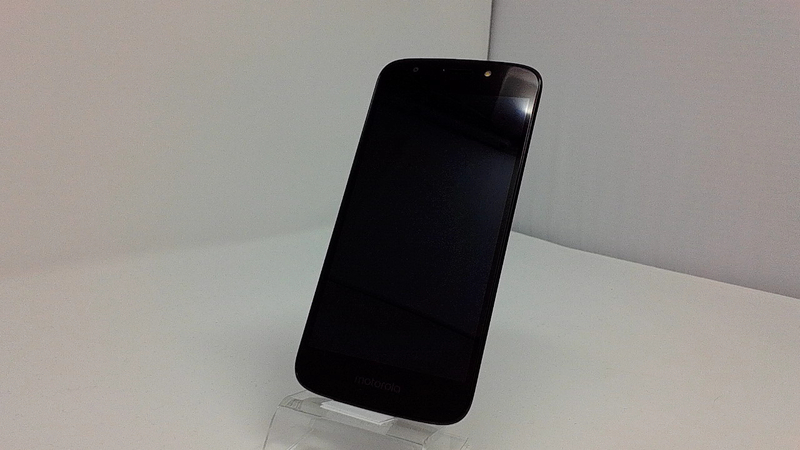 Bad ESN, Motorola BAR style smartphone in Black. Phone glass has scratches/scuffs, housing scratched, REAR PHONE COVER MISSING ENTIRELY. Phone is used and in working condition. Moto E5 Play smartphone made its debut in the Indian markets in April 2018. The smartphone has a 5.2 inches screen with a screen resolution of HD and a resolution of 720 x 1280 pixels. It measures 151 x 74 x 9 mm in dimensions and weighs 150 grams. The other variants of Moto E5 mobile include Moto E4, Moto E4 Plus, Moto E3 Power and Moto E. Moto E5 Play runs on Android v8.0 (Oreo) operating system. It is powered by Quad core, clocked at 1.4 GHz speed and Cortex A53 processor. Moto E5 Play is a dual SIM handset that supports Nano SIMs and packs a battery capacity of 2800 mAh. For photos, the smartphone has 8 MP rear camera with digital zoom, auto flash, face detection and touch to focus. On the front, users get 5MP selfie camera. Mobile name comes in 2GB of RAM and 16GB internal storage. 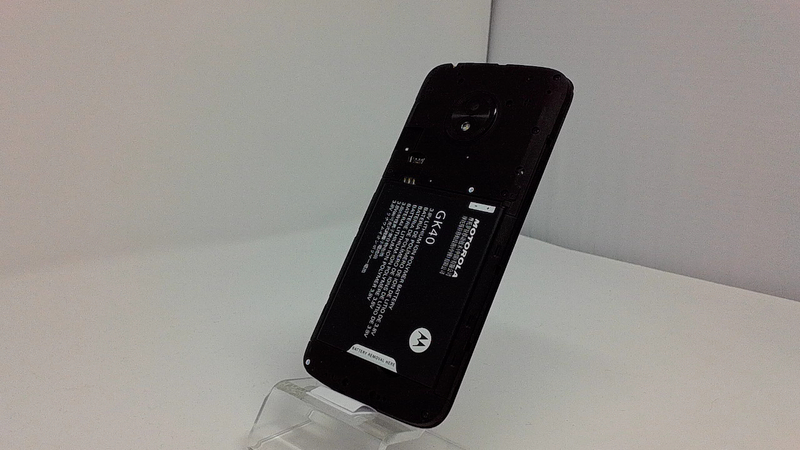 The internal storage is expandable up to 128 GB. The connectivity options in the smartphone include Bluetooth, Hotspot, Wi-Fi, GPS and 2G, 3G and 4G network type. 1.The shooting modes of the phone include continuous shooting and High Dynamic Range mode (HDR).